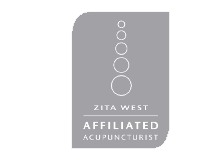 Massage is often combined with acupuncture for a soothing, healing treatment. I also offer massage as an independent treatment. Please call for advice if you are unsure what kind of massage you would like or is best suited to your conditions. This is a system of massage pioneered in America by W F Barnes. Fascia is a single network of connective tissue. When muscles are injured the fascia is distorted and Myofascial Massage aims to correct that distortion. It is a very gentle form of massage which is extremely relaxing and beneficial. In particular it has been found helpful in treating Fibromyalgia, Chronic Fatigue Syndrome and Chronic Pain. It is also very good for healing scar tissue. Deep tissue massage aims to soothe overused muscles and relieve tightness and pain. Areas which are particularly knotted are pressed deeply to deprive the knot of oxygen and then released. A gentle Swedish type massage to relax, calm and renew tired and aching muscles. Particularly good for pregnant ladies! Cupping therapy has been practised in China for many centuries. It involves the application of small glass cups to the back on tight sore muscles. The air is sucked out the cup by a little rubber hand pump and the skin, muscle and fascia is pulled up. It is very relaxing and increases the circulation of of blood and lymph and oxygen to the area. This helps to relax and heal the tissues. The cups can be left over the sore area or glided up and down the back depending on the individual cases. Pressure is applied with fingers, thumbs and elbows to the appropriate acupuncture point to relieve pain trigger points in the body. It is often used with some of the other massage techniques and is sometimes called acupuncture without needles.